Microscopes and glass slides are on their way to becoming obsolete in medical and science courses. MBF Bioscience just unveiled Biolucida Cloud 2.0, software that simulates the experience of using a light microscope, complete with the ability to focus through specimens. 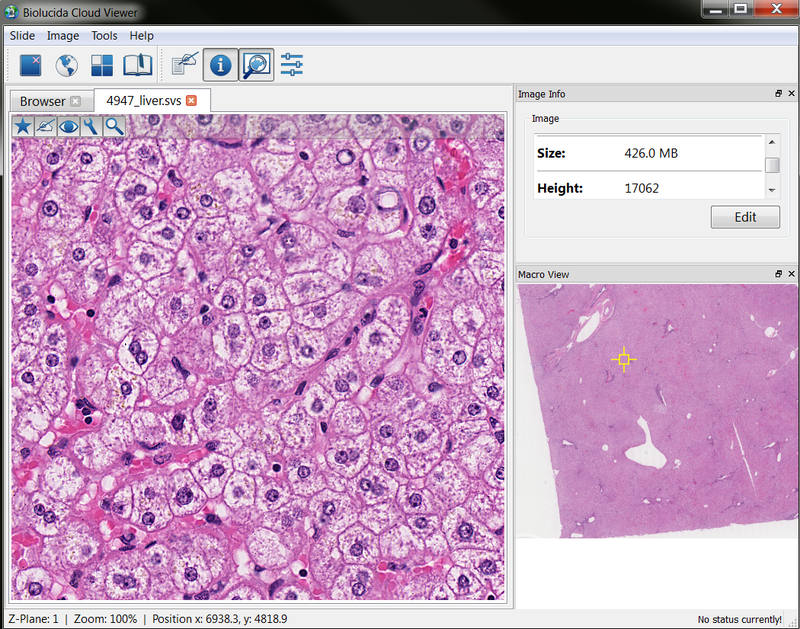 This software enables educators to integrate virtual slides — high-resolution digital images of specimens mounted on glass slides — into their course materials and tests. Thanks to Biolucida Cloud 2.0, educators and students are no longer bound to the traditional classroom and lab, and the limitations of glass slides are a thing of the past. According to Nate O’Connor, Product Manager, “educators can be sure that every student sees the same images, and they can give all students experience with rare cases without putting delicate glass slides at risk.” Students can access tissue specimens from home or the library and “it’s much easier to collaborate with study groups using a computer monitor instead of taking turns looking through oculars,” adds O’Connor. Biolucida Cloud’s architecture is specially designed to allow many users to simultaneously access big images (with file size reaching hundreds of gigabytes) and navigate through them quickly and smoothly. Moreover, it also allows educators to use any 2D or 3D virtual slide, whether it was acquired with a slide scanner or imaging software. Visit our website for more information, or register for our free Biolucida webinar on April 10, 2013. Posted in MBF Company News, Uncategorized and tagged Biolucida Cloud.